When Stephanie Brooks and Janine DiVita crossed paths, they expressed their mutual passion for teaching and commitment to social change. Brooks, an educator, mentor, writer, mental health professional, Prevention Education Specialist, and doctoral candidate at the University of Washington, partnered with DiVita, a Broadway and screen actress, educator, writer, and advocate, to implement an innovative educational program that would include comprehensive methods for addressing social and civic responsibility. Their collaboration began with the development of a tailored true-to-life script and theatrical prevention education workshop that would meet the needs and objectives of the Sexual Harassment & Assault Response Program for the military population. Guided by the principles of Social and Situated Learning Theory, volunteer Soldiers took part in Empowered Voices' scenario-based, theatrically-driven prevention education workshop. The creative and hard work done by the volunteer Soldiers was presented to a theatre full of over 950 Veterans, Soldiers, and family members. The host and lead performer of the program was DiVita. After measuring outcomes, it was clear that Empowered Voices' program inspired actionable change among the Soldiers and audience members. This positive outcome inspired the duo to continue their collaborative efforts using the program they have coined, "Theatrical Prevention Education." Stephanie Brooks is a volunteer collaborator with Empowered Voices. Ms. Brooks has over 20 years experience as an educator specializing in mental health management. She is a certified prevention specialist and risk reduction specialist who has held positions as a master resiliency trainer, early education specialist, suicide intervention skills trainer, sexual assault prevention trainer, domestic violence trainer, substance abuse prevention and intervention instructor, creative arts teacher, narrative therapist, educational counselor, and risk reduction coordinator. Brooks has also led process improvement teams in these realms. Brooks has worked as a case manager for a leading community action agency where she intensively collaborated with underserved populations; advocating for high schools, the juvenile justice system, family advocacy, the Department of Children and Families, and the Department of Labor to provide comprehensive services. All of which led to positive change outcomes. Stephanie Brooks holds a Master of Arts degree in Counseling and Psychology from Bowie State University, and is currently a doctoral candidate at the University of Washington. She resides in the State of Washington. Read Stephanie Brooks' extended bio. As Director of Military Education, Janine DiVita has led Sexual Harassment and Assault Prevention workshops at various Army bases such as Fort Campbell, Fort Bragg, Fort Carson, and Joint Base Lewis-McChord. Aligning the Army’s Core Values with personal responsibility; lessons in situational improvisation, active listening, character and personal values development, effective communication, pro-active bystander intervention, and consent are taught to by means of a custom interactive narrative and script with objectives to inspire, influence, and help strengthen social awareness about ending sexual harassment and assault within the military population and beyond. DiVita has written and staged original group and individual theatrical and improvisational performances for close to a decade. She delivers emotionally powerful messages to audiences and participants alike and uses dramatic skills to connect, educate, and motivate. As a professional Broadway and screen actress, Janine has been seen on Broadway as Rizzo in "Grease," "Anything Goes," "The Mystery of Edwin Drood," and in the national tours of Mel Brooks' "Young Frankenstein" (Elizabeth) and "If/Then" starring Idina Menzel; in which Janine played the principal role of Anne. On television, Janine has been seen in hit shows such as "Elementary," "The Americans," "The Colbert Show," and PBS’ "This is the Moment" starring Irish Tenor, Paul Byrom. She can also be seen opposite Dustin Hoffman and Josh Lucas in "The Choir." Her off-broadway and regional theatre credits are numerous and her concert work spans the globe. Janine is a graduate of the University of Michigan where she double majored in Communication Studies and Musical Theatre, and was active member in Alpha Phi Sorority. Janine resides in New York City. Read Janine DiVita's extended bio. 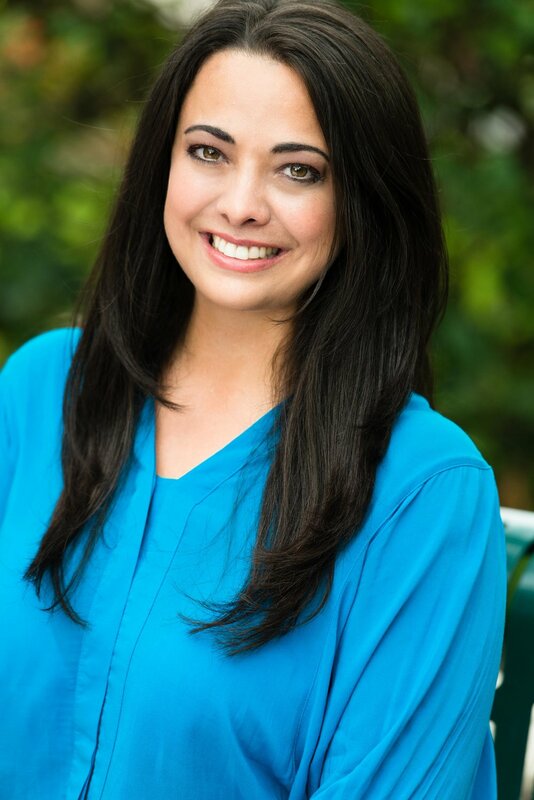 Kelli Kuzmich hails from Overland Park, Kansas and most most recently worked as the office manager for Finan's Chiropractic, a holistic business that maintains a strong mission of empowerment and betterment through intuitive patient care and improved and innovative practices of living and being. Kelli is passionate about nature, children, communication, and integrity. Kelli manages the records for Government bookings. Leo Koester is a video producer, writer, and creative freelancer. He has extensive experience in nearly all aspects of video production including conceptualization and planning, set design, camera setup and operation, sound recording and engineering, editing, graphic design, and post-production. Leo helped develop content for television, web platforms, and the big screen. Some of his recent work involved covering live music events, including producing and editing backstage content for the Lollapalooza music festival. Leo received a Bachelor of Science degree in Communication from Northwestern University, where his education encompassed a diverse range of creative disciplines, including film-making, screenwriting, sound design, animation, visual design, sculpture, drawing, and more.